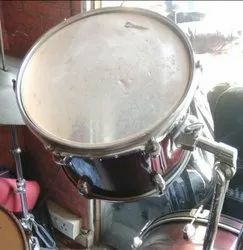 We are engaged in providing the best quality range of Brass Drum Brass Shell. We manufacture a wide variety of western music instruments that are used for playing carnatic music. 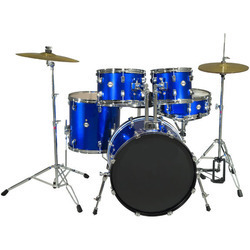 Our ranges of Drum Set instruments are made of high quality raw material. We offer our superior quality instruments to our valued customers at extremely competitive prices. - Playing Surface: Tenor: 6.5" and Bass: 8.25"
- Body: Stained wooden shell with linear etching.